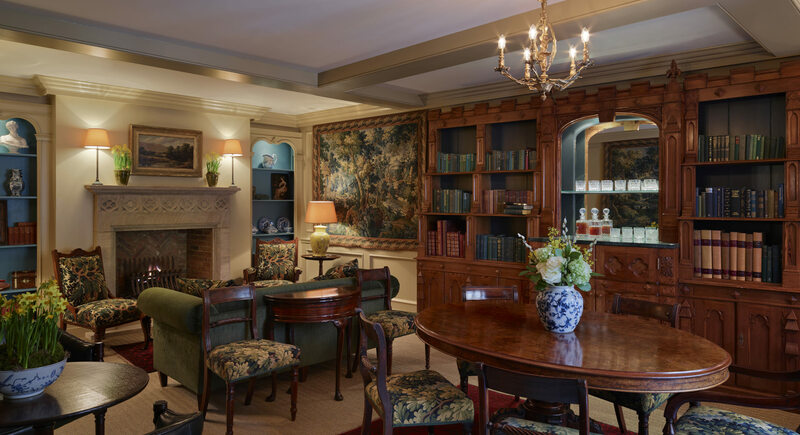 This large, imposing space is hung with 17th century tapestries, The Folly and The Fountain, and features a large antique book case which doubles as an honesty bar. Glazed doors open onto an elegant private courtyard with a functioning period fountain. At one end of the room is an open fireplace flanked by elegant built-in bookcases, furnished with comfortable sofas and chairs to form an ideal breakout space. An antique table with seating for up to six overlooks the courtyard. The room is air conditioned and is complete with complimentary WiFi access.